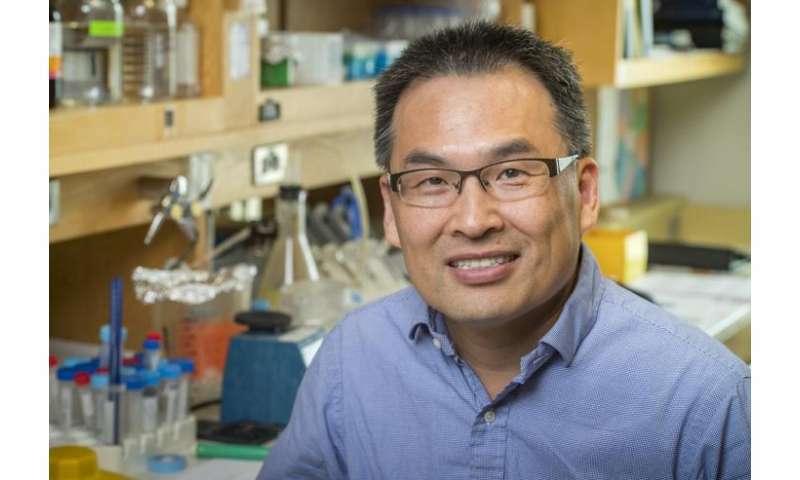 University of Alabama at Birmingham researcher Hengbin Wang, Ph.D., and colleagues have identified one such mechanism. In a paper published this week in Proceedings of the National Academy of Sciences, Wang and colleagues describe a key role for a protein called RSF1 in silencing genes. Besides the molecular biology details, the researchers also showed that disruption of RSF1 expression in the embryos of African clawed frogs caused severe developmental defects in the tadpoles—through a dysregulation of mesodermal cell fate specification. RSF1 acts on chromatin, the organized structure of the chromosome where the 6-foot-long DNA of each human cell is highly condensed by wrapping around spools of histone proteins. Chromatin is not static, however—it is highly dynamic and changes in its structure to control different physiological processes. They found that RSF1—which stands for remodeling and spacing factor 1, a subunit of the RSF complex—is a ubiquitinated-H2A binding protein that reads ubiquitinated-H2A through a previously uncharacterized and obligatory ubiquitinated-H2A binding domain. "RSF1 binds to ubiquitinated-H2A nucleosomes to establish and maintain the stable ubiquitinated-H2A nucleosome pattern at promoter regions," they wrote. "The stable nucleosome array leads to a chromatin architecture that is refractory to further remodeling required for ubiquitinated-H2A target gene activation. When RSF1 is knocked out, ubiquitinated-H2A nucleosome patterns are disturbed and nucleosomes become less stable, despite the presence of ubiquitinated-H2A. These ubiquitinated-H2A nucleosomes are subjected to chromatin remodeling for gene activation."